Star Wars Battlefront 2 has finally received a shiny new update that’s set to transform it for the better. We all know about the controversy surrounding the game, but EA’s Star Wars Battlefront 2 update is a bold move towards reaching its full potential. The visuals and action work brilliantly, but there have been certain elements in need of refinement. The updates put in place on March 21st were designed to overhaul the progression system and crates, while other smaller touches were set to be introduced too. 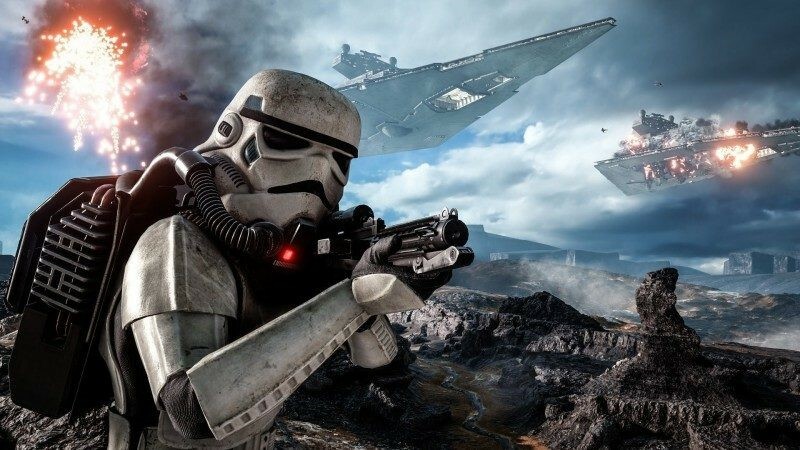 We have also been promised further Star Wars Battlefront 2 updates in the future, but what would we love to see? Let’s take a look at the updates themselves, and the new changes we hope for in days to come. – Loot crates will only contain cosmetics or credits: nothing available through them will affect gameplay. – Star Cards will only be unlocked by levelling up on certain classes, heroes, or ships. As you level-up, you will receive skill points to spend on new or upgraded cards. – Anything you’ve already unlocked will still be available. – Microtransactions will be available, but only on new skins (Appearances). None of these give you an extra gameplay advantage, and can be purchased using credits or real money. It’s great that you’ll have the choice to buy them immediately or spend a little extra time to earn them. – All heroes currently available will be unlocked free of charge, and any new heroes introduced to the game will be purchasable through in-game credits. Again, it sounds like a fair way to do things. – Lastly, the awesome Bespin map from 2015’s Star Wars Battlefront will be added. 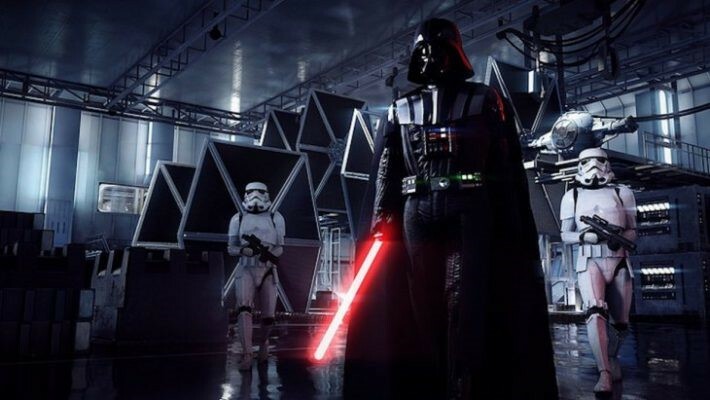 As a result of the changes, the progression system and credits should be a lot clearer, and anyone who might have found unlocking Star Cards and heroes a little awkward will find Star Wars Battlefront 2 more user-friendly after the update. Still, what other new features would we like to see added to the game? The recent introduction of extra maps for Custom Arcade was a fantastic move, offering solo players much more variety and replay value. 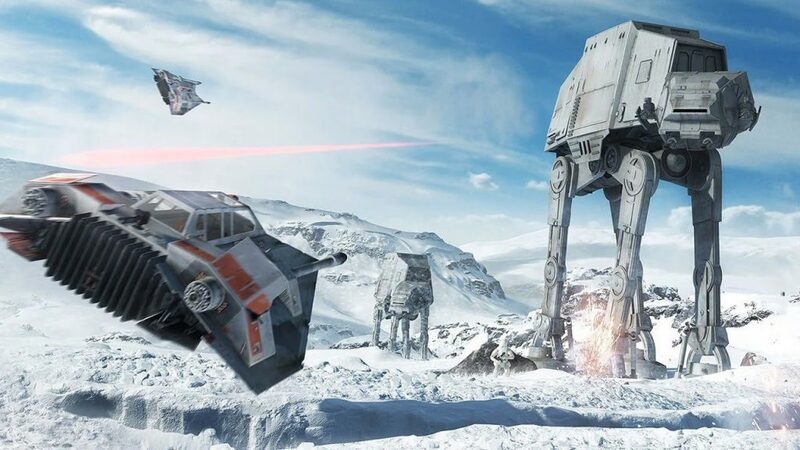 Playing in environments like Hoth, Jakku, and Crait without having to join a multiplayer battle helps to keep the single-player experience fresher over time. However, we’d love to see more maps added to Arcade mode, just to flesh the offline experience out even further. For example, the Hoth and Crait maps focus on interiors only – couldn’t we get to play outside too? Part of the appeal of playing in these two locations is getting to run across snowy or salty landscapes with AT-ATs bearing down on you. We’d also like to go back to Jabba’s Palace, Tantive IV, and Dagobah. Being able to play as Darth Maul is a blast, but why no more hero characters from the prequel era? Ideally, the roster of heroes would be huge, featuring all kinds of figures from the Light and Dark Sides alike. Qui-Gon Jinn? A young Obi-Wan Kenobi? Mace Windu? Ahsoka Tano? Why no young Anakin Skywalker (as in Hayden Christensen young, not Jake Lloyd)? How about General Grievous? We can only imagine the latter villain would look incredible with Star Wars Battlefront 2’s gorgeous visuals, with four lightsabers slicing through the air at the same time. Part of the appeal in the original Star Wars: Battlefront games was being able to sprint across a war zone and jump into an AT-ST, an X-Wing, or even an AT-AT in any gameplay mode. This made it into 2015’s Star Wars Battlefront too, albeit in a different form. This is sorely missing in Star Wars Battlefront 2’s solo Arcade mode. You want to get the full Star Wars experience, but yet the lack of vehicles detracts from the overall feel. As it is, you have to either replay Campaign missions or dive into a multiplayer battle if you want to mix on-foot and vehicle sections together. We’re thrilled that the Appearances system has undergone some key tweaks, as getting them before related to timed challenges or pre-order bonuses. Still, we want to be able to have characters look how we want them to, within reason. It’s been said that deep customisation wasn’t going to feature, in case it interfered with the mythos, but shouldn’t gamers be able to create a unique experience? This doesn’t have to be altering the colour of armour or making hero characters look entirely different, but choosing from multiple variations would be a terrific change. 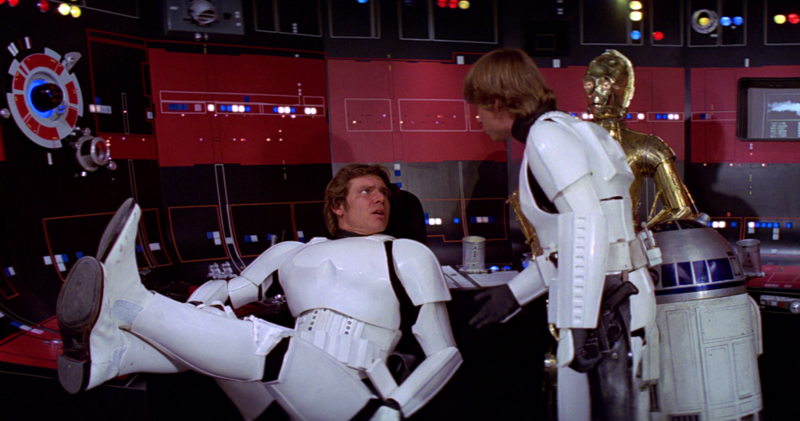 For example, playing as Darth Vader without his full helmet (just his respirator) would be a breath of fresh air, while Luke and Han in stormtrooper gear could be a neat twist. The list goes on and on – Lando in his Return of the Jedi disguise, Leia as Boush, Luke in X-Wing gear, young Anakin Skywalker in Jedi robes. There’s lots of potential for variation, and we’d like to see it reached. What do you think of the new Star Wars Battlefront 2 update, and what other changes would you like to see in the future?